I had set a reminder in the calendar for SSL Certificate Renewal. I realised that I had set the date wrong and wanted it preponed a bit. When I went back to the Calendar Event I just could not figure out how to open the event for edit/delete. Turns out that the only link is the tiny pencil icon that appears in the Calendar. I request / suggest the entire text be made a link as that would be much easier, logical and time saving. You're right - it seems to be the only way to access the calendar settings of an event, and it is a little difficult specially on a mobile device. 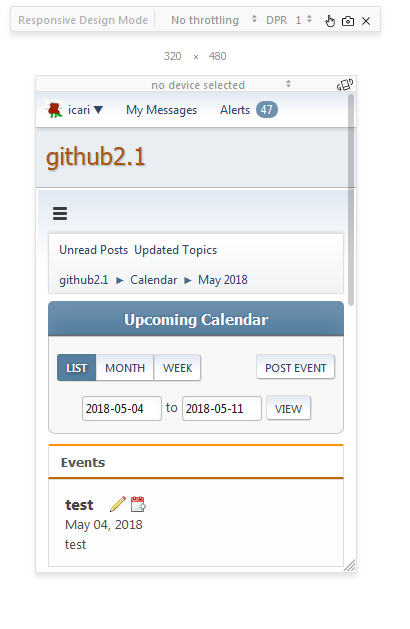 If the event is linked to a topic, then the calendar entry will link to the topic, where again we only have that little pencil to access the actual calendar side of it. since we are adding features to SMF 2.0, this will not be improved there. This may be something we could look at improving in SMF 2.1 as it still uses the pencil icon which now has another icon right next to it to make it even harder to try to get to the pencil on mobile.